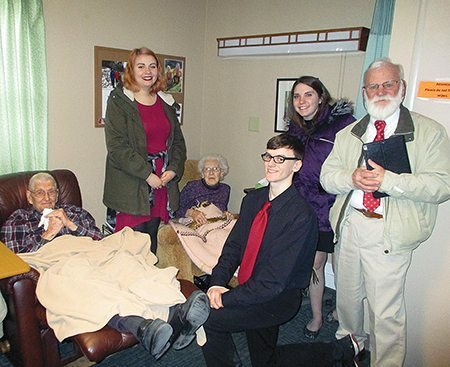 Southfield Wellness Community residents, Norman and Irene Gordon, were all smiles when Webster City High School vocal students serenaded them with “Can’t Help Falling in Love” by Elvis Presley. The students share their talents each year to perform singing Valentines. Irene was also presented a red carnation. 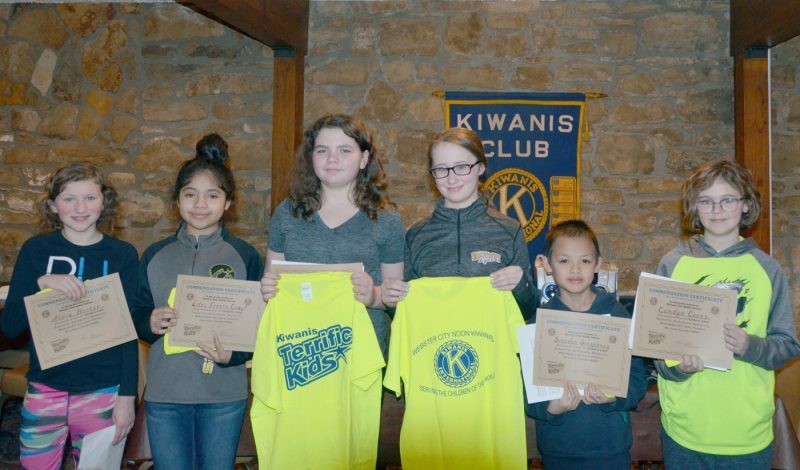 Pictured (L-R)are Norman, Maren Borer, Irene, Gage Dixon, Zoey Woodle and Gordon family friend, Al Yungclas.